The evolution of VFD technology has seen many changes in a relatively small time frame. As a result, newer VFDs with greater functionality are now avail able. 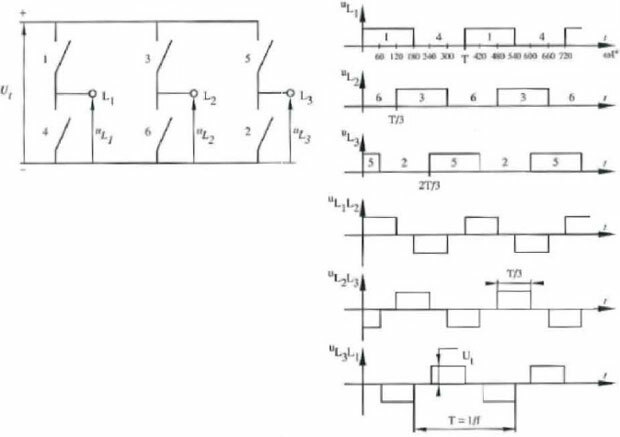 Most VFDs manufactured today are pulse-width modulation VFDs that convert the 60-Hz line power to direct current, then pulse the output volt age for varying lengths of time to mimic an alternating current at the frequency desired. Many older variable frequency drives were distinguished by the type of inverter circuitry used in the VFD. 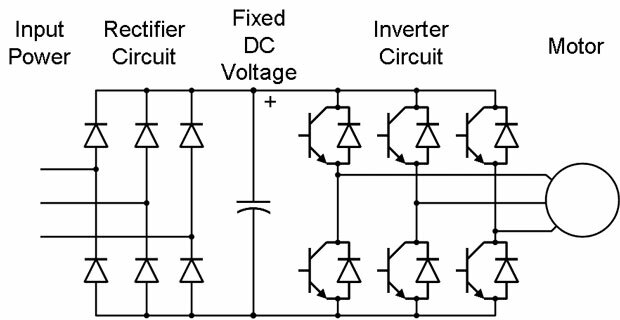 Two earlier types of VFDs were the voltage-source inverter & the current-source inverter. Following diagram shows a simplified circuit of one type of voltage source inverter (VSI), also called variable-voltage inverter (VVI). 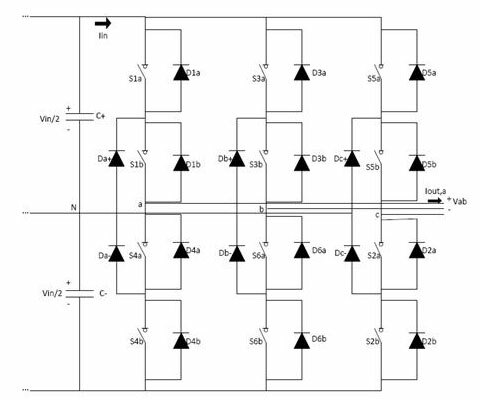 This inverter uses a silicon controlled rectifier (SCR) converter bridge to convert the incoming AC voltage into DC. The SCRs provide a means of controlling the value of the rectified DC voltage. The energy storage in the DC link between the converter & inverter consists of capacitors. The inverter section utilizes six SCR switches. The control logic (not shown) uses a microprocessor to switch the SCRs on & off, providing a variable voltage & frequency to the motor. This type of switching is often referred to as six-step because it takes six 60° steps to complete one 360° cycle. Although the motor prefers a smooth sine wave, a six-step output can be satisfactorily used. The main disadvantage is torque pulsation, which occurs each time an SCR is switched. The pulsations can be noticeable at low speeds as speed variations in the motor. These speed variations are some times referred to as cogging. 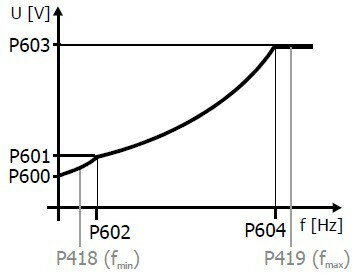 The nonsinusoidal current waveform causes extra heating in the motor, requiring a motor derating. Voltage-source inverter VFDs can operate any number of motors up to the total rated horsepower of the VFD. With a current-source inverter, the DC power supply is configured as a current source rather than a voltage source. 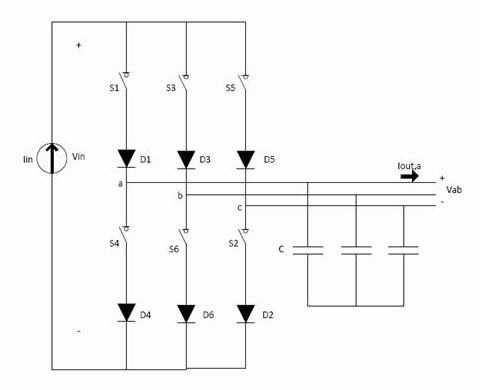 These VFDs employ a closed-loop system that monitors the actual speed of the motor & compares it with the pre set reference speed, creating an error signal that is used to increase or decrease the current to the motor. Following diagram shows the simplified circuit of a current-source inverter (CSI). The converter is connected to the inverter through a large series inductor. 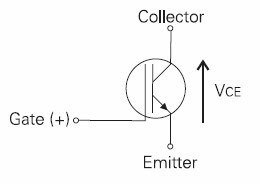 This inductor opposes any change in current & is of a sufficiently high inductance value that direct current is constrained to be almost constant. As a result, the output produced is almost a square wave of cur rent. Current-source inverters are used for large VFDs -about 200 hp- because of their simplicity, regeneration braking capabilities, reliability, & lower cost. Since current-source inverters monitor the actual motor speed, they can be used to control only a single corresponding motor with characteristics that match the VFD.